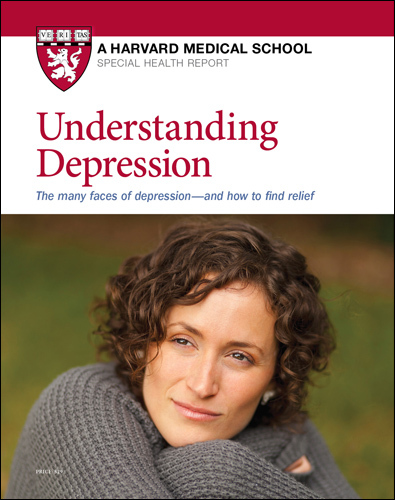 FOR A LIMITED TIME, SAVE 25% ON UNDERSTANDING DEPRESSION. ENTER PROMO CODE NOV25 AT CHECKOUT. November kicks off the holiday season with high expectations for a cozy and festive time of year. However, for many this time of year is tinged with sadness, anxiety, or depression. Certainly, major depression or a severe anxiety disorder benefits most from professional help. But what about those who just feel lost or overwhelmed or down at this time of year? Research (and common sense) suggests that one aspect of the Thanksgiving season can actually lift the spirits, and it's built right into the holiday — expressing gratitude. Nationwide, nearly one in 13 people over the age of 12 has a drinking problem. Millions more engage in risky drinking behaviors that jeopardize their health, relationships, productivity, and general well-being. This Special Health Report, Alcohol Use and Abuse, explores the many factors to consider when deciding how much (if any) alcohol is safe for you. It also details the dangers of alcohol misuse, from drunk driving to chronic, life-threatening health conditions. Is beer really responsible for my "beer belly"? Q. I am a healthy, active 39-year-old guy. I enjoy a beer with dinner most nights, and a six-pack most weekends. Over the past year or two, I've had to let my belt out, and now I'm letting out my pants. So here's my question: is beer really responsible for my "beer belly"? A. Whether it's called a beer belly, a spare tire, the apple shape, or the middle-age spread, abdominal obesity is the shape of risk. Abdominal obesity is a health hazard, increasing the risk of heart attack, stroke, diabetes, erectile dysfunction, and other woes. Risk begins to mount at a waist size above 37 inches for men, and a measurement above 40 inches would put you in the danger zone. For women, the corresponding waist sizes are 31½ and 35 inches, respectively. Despite the name, beer is not specifically responsible for the beer belly. Research from the beer-loving Czech Republic tells the tale. In a study of nearly 2,000 adults, beer consumption was not related to girth. If it's not beer, what is to blame? The culprit is calories; if you take in more calories with food and drink than you burn up with exercise, you'll store the excess energy in fat cells. And unfortunately for men, their abdominal fat cells seem to enlarge more readily than the abdominal fat cells in women. But although beer is not a special problem, it can add to abdominal obesity by contributing calories. In round numbers, a standard 12-ounce beer contains about 150 calories; a light beer, about 110 calories. For comparison, a 5½-ounce glass of wine or a 1½-ounce shot of hard liquor provides about 100 calories. Since all these beverages contain approximately the same amount of alcohol, you can see that regular beer does have extra calories — unless you count the mixers and olives.